In July 1933, he took part in the Orleans congress of the UACR (Anarcho-communist Revolutionary Union) and in 1934 launched Terre Libre which became the organ of a federalist brand of anarchism that differed from the centralistic Anarchist Union (UA). In February 1937, Terre Libre became the mouthpiece of a rival, looser Francophone Anarchist Federation (FAF). He was invited by the CNT-FAI to help launch a French version of Solidaridad Obrera, out of which came L’Espagne antifasciste in which venture Prudhommeaux had a supporter in Voline. Citing technical reasons, the CNT-FAI National Committee (Mariano Rodríguez Vázquez, Federica Montseny, etc.) then suspended publication of L’Espagne antifasciste. Prudhommeaux was suspicious of the “antifascist front” policy and distanced himself from the CNT-FAI when it chose to enter the government in November 1936. 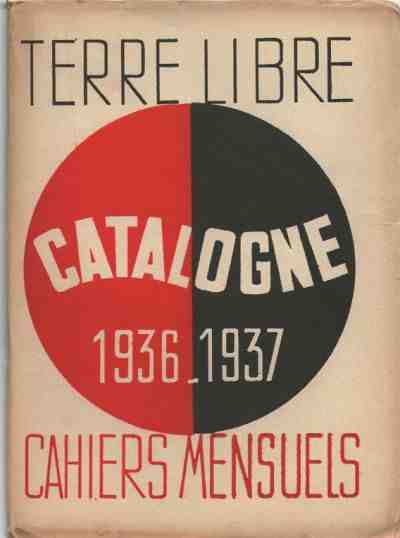 The final edition of L’Espagne antifasciste appeared on 1 January 1937 and on 19 April 1937 he produced the first edition (in Nimes) of L’Espagne nouvelle, calling for “a fresh 19 July” and the replacement of the bourgeois republic in Spain by fully restored and empowered unions, collectives, workers’, peasants. Sailors’ and soldiers’ committees. The new paper was not tied to the coat-tails of the CNT-FAI leadership and gathered evidence from returning revolutionaries of the repression to which revolutionaries were being subjected in Spain. 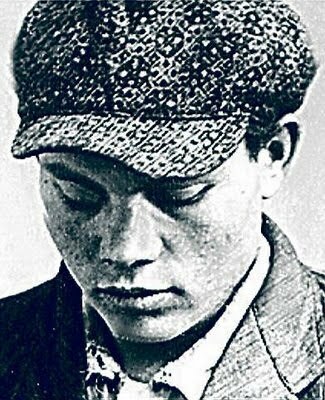 The Friends of Durruti he saw as heralding a potential fresh revolution but the failure to resist the destruction of the Aragon collectives soon dashed those hopes. He became hyper-critical of the CNT-FAI leadership and its direction. “I have before me an article by Dr Pierrot in Plus Loin (No 156) and that article did not please me. Can I spell out the reason why? All this had to do with the SIA (International Antifascist Aid), in which Pierrot is a leading figure and which is “meant solely to come to the aid of the Spanish comrades”, to the exclusion, of course, of the deserters and other defeatists. I remember back in 1933 when the German comrades, crossing the border at the risk of their lives, were arriving in France, penniless and with some old jacket on their backs, seeking asylum against the shame of enforced conscription into the Nazi ranks. Many of them were carrying, and it doubled the risks, a collection of Red Aid cards plastered with appropriately franked stamps and their first and last hope was in the organisation that they had founded and supported foir over ten years, and from which they had never asked anything in return. Seated behind comfortable desks, they found the big, fat “officials”, in their huge offices, flanked by vivacious typists and all optimism on 18,000 francs a month retainers. And then the questioning would start: “Back in Germany, are you looking at a sentence at least equivalent to six months Zuchthaus (hard labour)? – No, comrade, but all the local SA members know me and they’ll have my life if I do not capitulate. My chances of finding a job there are gone and I’ve come here to see you …. – You’re a deserter, abandoning your post just when the party is facing the ordeal of being outlawed. You’re a party soldier, don’t forget. As I am too. The party has assigned me my task here and even though I’d love to carry on with the fight for a soviet Germany, I have sacrificed myself. Do the same thing yourself. Go back to where you came from. You cannot expect any support from an organisation whose discipline you are breaking.” In Stettin, a dozen deserters of the same stripe stowed away on a soviet ship. Once out to sea, they showed themselves, all overjoyed: “We are communists. They won’t get us. We’re off to work in the workers’ fatherland”. The captain turned his ship around and handed the refugees over to the German authorities. Between 1933 and 1935, the land where there was no such thing as unemployment, one Sixth of the World, took in exactly 800 German refugees, all of them high-ranking party officials or from foreign trade agencies. In his Gegen Angriff, Münzenberg openly proclaimed his utter contempt for workers and grassroots militants craven enough to trot along to his office to beg for work or shelter, when, back in Germany their sacred duty was to overthrow the regime at the earliest opportunity. At the time, we wrote about our disgust with such methods. We asked how a Bela Kun scarpering by plane at the height of his dictatorship, or a Dimitroff, playing the prosecution counsel and ridiculing even Goering thanks to safe-houses prepared in advance, could be looked upon as heroes whilst the poor bugger who has merely risked his neck, is required to pay for it with the very last drop of blood left in his veins. Our reckoning was that this distinction between the troops, obliged to make the ultimate sacrifice, like it or not, and the leaders who are always entitled to skedaddle or keep their precious persons out of striking range by resorting, if need be, to capitulations and compromises, was steering a movement in the direction of moral ruination and ultimate decomposition. And we thought gratefully of Liebknecht and Luxemburg who did not abandon the Spartakist uprising, of the Decembrists and Nihilists who went to the scaffold, of the labour movement leaders hanged in Chicago and of all the leaders of men who have had enough belief in the revolution to think that it might outlive them, instead of killing it so as to preserve its leaders, in accordance with the Bolshevist approach. In the Spanish civil war, the anarchist internationals have paid more than their price in blood and nobody can take them to task not having pushed the spirit of sacrifice far enough. In any event, if there is anybody who has erred by casting this up to them, it is the CNT-FAI delegation abroad, the Spanish colony in Buenos Aires and the SIA leadership in Paris. If there is selfishness in the “pacifism” of certain combatants who were early to answer the call, what are we to make of the “bitter end-ism” of those tucked safely away from start to finish, there being as many of those in republican Spain as there are drops of water in the sea? I will be told that I am posing the question in national terms. But it is not my fault if all the “Popular Front” organisations are arguing that the Spanish war has turned into a national war, or maybe even a racial war against Teutons, macaroni-gobblers and Moors and is in any case a war in defence of Fatherland and Republic, and no longer a civil war with revolutionary implications. Not only the great Spanish fatherland and Republic, but also the mini-Fatherland of the CNT-FAI and its militias have long since made it plain that the only right they recognise their comrades and foreign volunteers as possessing is the right to give military obedience to the slogans doled out and to give their all. In which case, the comrades have an inalienable entitlement to defend themselves against the military and police authorities, against economic exploitation and the political persecution that are foisted upon them and to look to their own resources, since neither the SIA nor the CNT-FAI are doing anything for them. The government fled Madrid for the safety of Valencia, dodging the encirclement and capture of Madrid. It fled Valencia for the safety of Barcelona, calculating that the rebel offensive would soon cut Catalonia off from the rest of Spain. It stands ready to flee abroad from Barcelona, thereby imitating the Basque government. Already the families of a number of ministersa are safe on French soil. The communards back in 1871 had more guts, there is no denying that. The government is surrounded by an army, a police force, an Assault Guard, a Republican National Guard, a Corps of Carabineers, a corps of mozos de escuadra, volunteer brigades recruited from among the stalino-bourgeois JSU [Unified Socialist Youth], a Cheka, etc., whose stock in trade is the defence off the established regime and to die for the Republic, if need be. To date, it is the anarchist battalions that have made up the first lines of attack and which have been sacrificed in order to cover retreats. Only too pleased if there was nobody shooting them in the back. Those beloved children of the Fatherland, the bourgeois and bureaucrats of every hue and variety have thus far made do with insulting, imprisoning and slandering the best antifascist combatants. Will they carry on letting an entire generation of Libertarian Youth be exterminated on the battle-field while they profiteer, sabotage and quietly grow fat in the rear-guard? Is it going to be necessary for their Fatherland to be defended to the very last fallen anarchist, whilst millions of men in the prime of life carry on keeping patriotically well clear of the blows? The antifascist bloc rested on an unspoken agreement: the opportunity for everyone to spread his ideas and try them out within the framework of a few coordinating institutions shared by all; the guarantee of the person freedom and lives of antifascists of every persuasion; disinterested mutual aid in the face of the common foe. That agreement was not broken by the Spanish or foreign anarchists. But it has been trampled underfoot with something akin to fury by the agents of Stalin and the “democratic” capitalists who have left nothing standing of the most basic freedoms and guarantees – murdering the comrades, ransacking collectives, gagging the press, turning the country into a vassal, paralysing the economy, paving the way for the return of the rebels and the clergy, amassing military betrayals and not honouring their pledges, emptying the jails of rebel inmates in order to lock up revolutionaries. Pierrot is not taken in and feels obliged to write: “Those fighting in Spain are fighting less for themselves than for their children and the generations to come.” Which obliges us to cast our minds back to 1914-1918, for those were the very words used to get peoples who had no idea why they were fighting to massacre one another. They were told: “This is so that your children need not suffer as you have suffered”. Today, children born during 1914-1918 are dying on the battle-fields and still do not know why and they are talking to them about generations to come. Thus, the religious spirit of sacrifice, the notion of the obligatory martyr is sustained from one war to the next by the “keepers of the flame” who, from time to time, come up with the same old cant: “The greatest joy is that associated with risk” (Dr Pierrot), “Those who will head off in the morning, myself for one” (Léon Jouhaux). The patriotic augurs of the SIA are on their second world war and are forever heading off “in the morning”. But back to the deserters. Comrades Armanetti, Cocciarelli and Crespi – three bona fide, front line militants, who have served in the line with the Italian centuria and been wounded several times over, etc. – are in danger of death for having sought to leave republican Spain, its jails, its Cheka and the disciplinary brigades with which Stalin has replaced the militias-tribes. The soldiers, policemen, judges, politicians, journalists et al who are tightening the noose on these three “deserters” are bona fide citizens of Free Spain, even though they have never been under fire. Where our comrades went wrong of course was in thinking that they were citizens of the world and in thinking about emigrating, they being stateless, to other battle-fields, to fresh risks and different fates. “Deserters!” they scream at them. But watch out, Messrs Keepers of the Flame!” Maybe before the ink on this page is dry we shall see a mass exodus of “leaders”, “officials” and “major militants”, etc. The visa-less, the undocumented and the other ranks will get by however they can. In order to save their wives and children and speed their pathetic queues across the Pyrenees, the bravest of them will get themselves killed. But the ones that escape the slaughter – and we hope there will be as many of those as possible – will they be “deserters” too? We would like to think that the SIA (instead of deploying against them the insults coming from a few imbeciles who have been waging their war since July 1936 from Paris or Buenos Aires and who think themselves heroes because they spring from a “race” of heroes) will strive, through a massive solidarity campaign, to spare these refugees some of the wretchedness and humiliations that the hospitality of “democratic” France has in store for them. What is needed is the organised operation to salvage whatever can possibly be salvaged from the Spanish revolution, and that while there is yet time. We have to salvage flesh-and-blood assets and, above all, the wonderful youngsters, so proud, so vigorous, so brim-ful of enthusiasm, with their capacity to become the human elite of whichever country they can put down roots in. We must salvage the spiritual assets of the revolution, its honour and its prestige and the clarity of the lessons it holds for the future; which in essence means the supreme defence and supreme attack on antifascist Spain must be mounted under the banner of direct action and organised indiscipline vis a vis the bourgeois government. Finally, we have to save the material assets of the revolution insofar as we may; first, the archives, the documentation that we will have to study in order to draw the lessons from this formidable experiment; then the more easily transportable wealth that will allow revolutionary solidarity to operate, all for one and one for all, without becoming a burden on governments and reformist organisations. If the adoption of more effective fighting methods proves not enough to save Catalonia, we must at least keep what will fall into Franco’s clutches to a minimum, in terms of population, moral forces, intelligence and all manner of utilities. The time has come for the mounting of an intense campaign to have the borders thrown wide open to the populace and antifascist militants, making it feasible for them to leave nothing behind them that might be used by Franco to get his hands on the rest of Iberian soil. Hospitality, fraternity and help for the Spanish revolution’s political and social refugees! Eternal shame on the saboteurs, capitulationists and traitors who have surrendered Spain’s most beautiful provinces to the enemy, one by one, and who have snuffed out one of the greatest reasons in our times to live and be hopeful. Marc Pierrot (1871-1950), doctor and contributor to Les Temps nouveaux, was close to Jean Grave with whom he signed the “Manifesto of the Sixteen”. Between 1923 and 1930, he was behind the review Plus Loin – editor’s note (A contretemps). Gegen Angriff (Counter-Attack) was the mouthpiece of the KPD (German Communist Party) and was run from Paris by Willi Münzenberg.